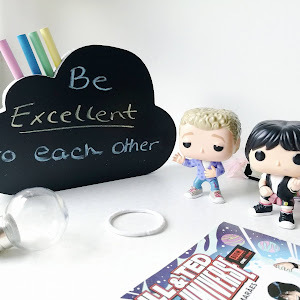 What Does "Be Excellent To Each Other" Mean To Me? 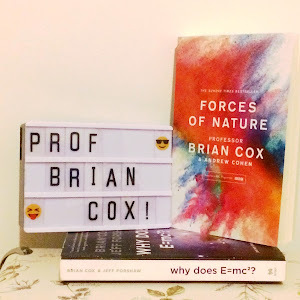 Professor Brian Cox Live | A Review? 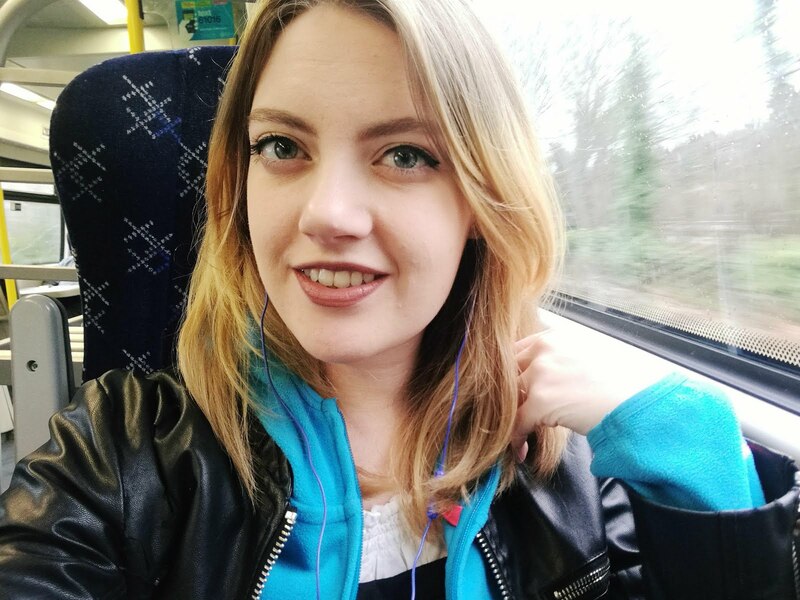 On 17 February 2017 I flew down to London Gatwick (and then made an onward journey by train) to visit my lovely Saph. I flew with British Airways and my god lemme tell you, I was so excited. I don't know why, but I've longed to travel with BA for so long! I'd always pictured them to be the more expensive way to travel, especially considering that this journey in particular was a short haul, domestic flight from GLA-LGW but instead a quick search on Google showed that BA was actually cheaper than easyJet! Granted that this was as a hand baggage only rate, but it was enough to convince me to book with them. I booked a return flight - departing GLA at 0700 on the Friday and returning from LGW at 1910 on the Sunday. Both flights had a flght time of roughly 1 hour, as you would expect. I arrived at Glasgow Airport at 0530. It was easy to find my check in desk by quickly glancing at the announcement board and walking along the desks in the Main terminal. I was seen within seconds as the (small) queue was seen to very effectively, and the clerk was friendly. I handed over my phone (boarding pass) and passport, then my suitcase was weighed and I was given my passport and phone back again, after which the clerk told me which gate I was to go to (14, if I remember rightly) and then that I was to be at the gate by 0615. LGW was a bit different. I'd never been there before and totally underestimated how big it'd be. I arrived by train at Gatwick Station in the South terminal at about 1715 and followed the crowd into the main terminal. There I was welcomed by a member of staff who asked me who I was flying with, and then directed to where I needed to go. Once in the BA area, I was met with another member of staff asking me what I was hoping to do (ie check in, bag drop etc.) I needed to bag drop but I was too tired at this point after a 2 hour train journey via London and so said I wanted to check in, and so I was pointed in the way of the desks. There were 3 members of staff on duty. The woman I got was friendly, and offered to print my boarding pass off for me, to which I declined as the app was actually pretty easy to use, and there was a hovering navigation I only needed to swipe with to show my pass. Uber easy, and environmentally friendly! She asked where I was flying to and then my bag was weighed. (This might not be in the exact order.) and she then told me the directions I needed to go in to get to security. Members of staff were friendly, approachable and efficient. This is the section you've all been wanting to read. I found both flights to be entirely different experiences. 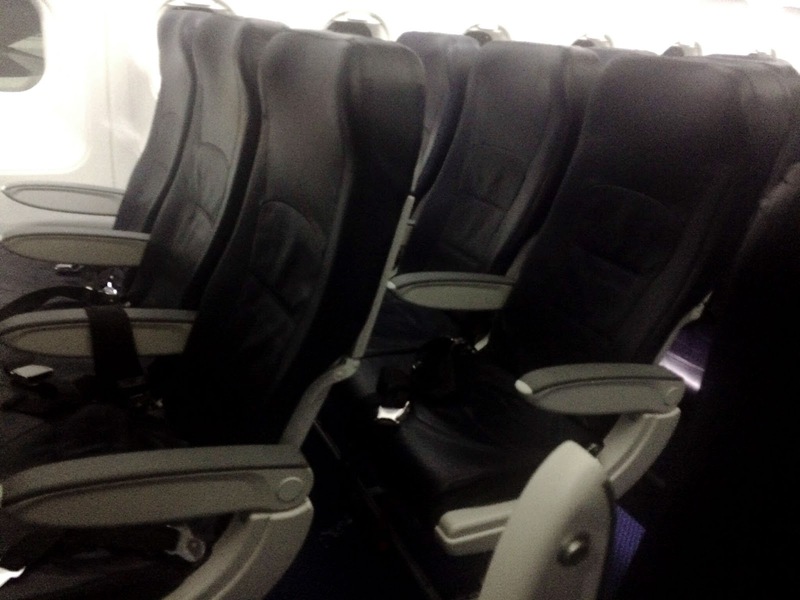 Though it must first be stated that first impression on both flights was that the aircraft was spotless. The safety briefing was done effectively and it was clear to see and smooth flowing. Shortly after this the trolley service came around, and because I’d forgotten both a drink and something to chew on, I got myself a bottle of water – with lemon and ice. (sidenote; how nice does lemon water taste?) The senior on board was also really good at providing updates. He told us a little about the charity BA are raising money for, for which there was an envelope located in the seatpocket in front of us. I regretably didn't have any change to do this, otherwise I would have. Upon arrival, we arrived on time but we weren’t able to depart the plane for about 10-15 minutes due to an obstruction to the bus services (that would take us to the terminal building) caused by the plane on the stand next to us. I don’t understand it myself, but the captain and Steven (senior) were back at it again giving us frequent updates. On flight two, it was different. I can't remember the time I boarded the plane at, but it was fast and found my way to my seat very quickly. This flight was full, in comparison to my last flight which wasn't as full. I stared out my window at the Ryan Air flight which arrived at the stand beside us, and watched the baggage handlers do their thaaang. It's always weird to me knowing my brother had a job like that. We soon began our taxi, and were informed by the captain that there was a queue but that we should take off quite quicky. 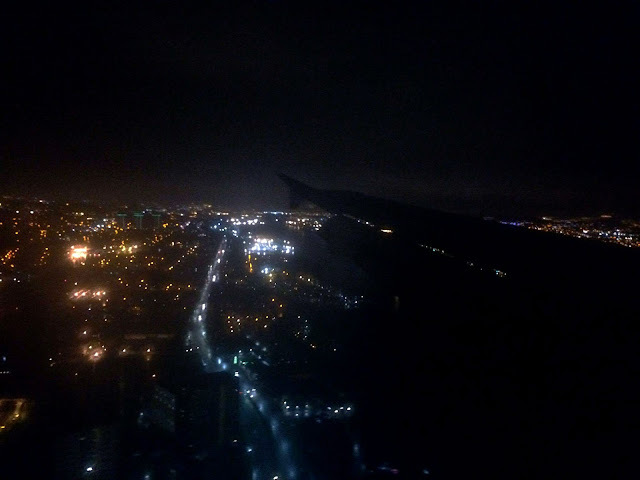 While we waited, I watched out the window and watched planes landing; Flybe, easyJet, Norweigan, Norweigan... after 20 minutes we were finally in the air, and I gazed out at the city below. On my first flight, we were informed that the cabin crew would be coming around to take snack orders from the M&S menu located in our seatback, but this time we weren't informed of anything, Cabin Crew just made their way down the aisle with a notepad in hand. The woman beside me was also obviously confused after I noticed her grab the crew member's attention to ask for a glass of wine, to be informed that the trolley service wasn't beginning yet. The safety briefing on this flight was patchy, and it wasn't that clear to see staff members (though there were only 3 on board - one to make the announcements and two to gesture.) This isn't a fault, under their staffing circustances it was effectively carried out. However, it wasn't smooth running due to the pauses inbetween certain pieces of information. We're all allowed an off day, however and so I don't take this as a reason to drag the experience down, I know I'm guilty of having moments while I'm at work and forgetting my words. I don't know the circumstances in this case; it may have been their first time annoucing, they may have emotional stress in their lives, they may have anxiety issues or they may have simply needed to cough. I only highlight this to remind others that Cabin Crew are humans and not robots. The service on flight two was a lot slower than that of flight one. The staff were still very friendly, and I could hear them on board laughing with passengers, but the services just seemed to take a while, and things weren't communicated in the same manner. Though, it should be noted that flight one (again) was not a full flight, and this was. Additionally, this was an evening flight where passengers were more likely to be awake, compared to flight one which was a morning flight and where passengers were more likely to want to rest. There are differences which could have caused this discrepency. It should also be noted that on this flight we were not informed about the option of giving money to charity, and as such I forgot to give anything. Overall on board rating: 7/10. The staff were very friendly, but there was a noticable differece in the level of service being provided, and was inconsistent. However, the service was not bad. Flight one was excellent, flight two was average and that's the only reason I've gone slightly lower. Before I conclide my review, I wanted to let you know about a few of the things the plane offered. Flight two (and I imagine, also flight one) was an Airbus A319. There was no wifi connectivity available on board, however it was announced that headphones were able to be used throughout the flight - also including take off and landing. (I always opt out of doing this to allow my ears to pop, I find, more so at the beginning of the decent, that its more painful to have my earphones in.) Also, with the trolley service, contactless was an option! 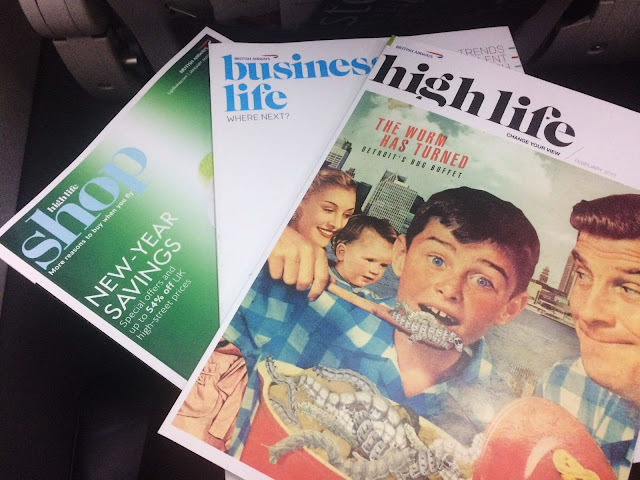 Overall I was satisfied with my experience with British Airways, and I would fly with them again, perhaps I could fly long haul and compare my experience on this flight with that of a meal service and a chance to talk to cabin crew. Who knows! 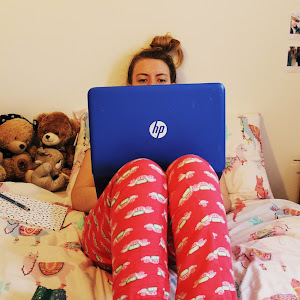 I hope you enjoyed this review, I definitely had fun writing it! I also reviewed my flight with Turkish Airlines a few years ago when I flew to Singapore. I'll try to catch another flight somewhere soon with another provider and let you know how the service was. Until next time, be excellent to each other. Gail, 24, HND Travel and Tourism and a BA Business graduate from Scotland. 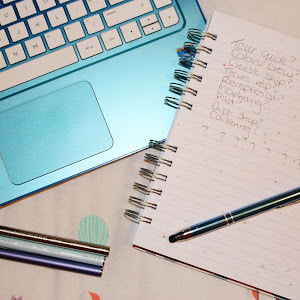 I write a bit about Lifestyle, Language and Travel in this corner of the bloggersphere. Je parle francais... un peu.